Do you run any business and receive payment via airtime of any kind? Have you ever accumulated a lot of airtime on your SIM? Have you ever thought of converting them to usable cash instantly ? If yes. Then you have gotten a better solution to your problem. In the past we observed there were some business people that collected airtime as a payment method for their business and found it very difficult converting to usable cash after accumulating a lot on their SIM. Some try selling their airtime hand to hand to people and at the end of the day still get scammed. But now we have gotten a solution to the problem. HOW DOES CONVERSION OF AIRTIME TO INSTANT CASH WORK? Trust me and believe that this is the only platform that helps to convert accumulated airtime to cash instantly in a convenient way for users with instant payment process. 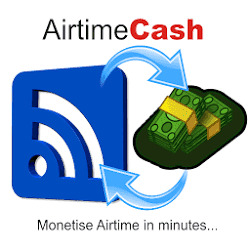 You can easily convert Airtime to Cash in four simple steps. STEP 1: Register On aimtoget to automatically have an E-wallet - click here. STEP 2: Navigate to "Transact Here". STEP 3: Click on Fund E-wallet, and fund your E-wallet with airtime method. STEP 4: After successfully funding your wallet, you can now click on Withdraw Funds; and then Withdraw Funds to any Nigeria bank. Simple as that. Everything is being done instantly. What are you waiting for? Join aimtoget transact today and turn your thoughts to reality now. To get started, simply sign up for a aimtoget account here. Thanks for the info but have you tried it out before? This is confirmed before posting. I don't share what i haven't confirmed. Infact, the owner of that site is my pal… So, you have no cause for any alarm. It's legit! Kachi, the aimtoget.com site is too hard to access. Please advise your friend, the site owner, to do something about that, to make his site easy to access just like your own site, so that there will be ease of transaction. Thanks. I have forwarded your complaint to him. Sorry for the inconvenience this may have caused you. Kachi: Thanks a lot. I commend you, for you have good qualities of a customer service rep.
Henry: Just like I stated above, it's difficult to get on to the site, esp. using mobile phone browsers - it displays error message, or there's delay in reaching it. And when finally on the site, to sign up keeps returning. My contact: 2348050319655. Thanks. Thank you for this post. I am yet to try this, but I would like to know what percentage of the total airtime is converted to cash. gave it a shot. . but am still yet to b funded. does it take that long?